Back in February I had the great privilege to head out to Seattle to photograph friend and insane musician Dan Phelps for the launch of his new website / creative online space. 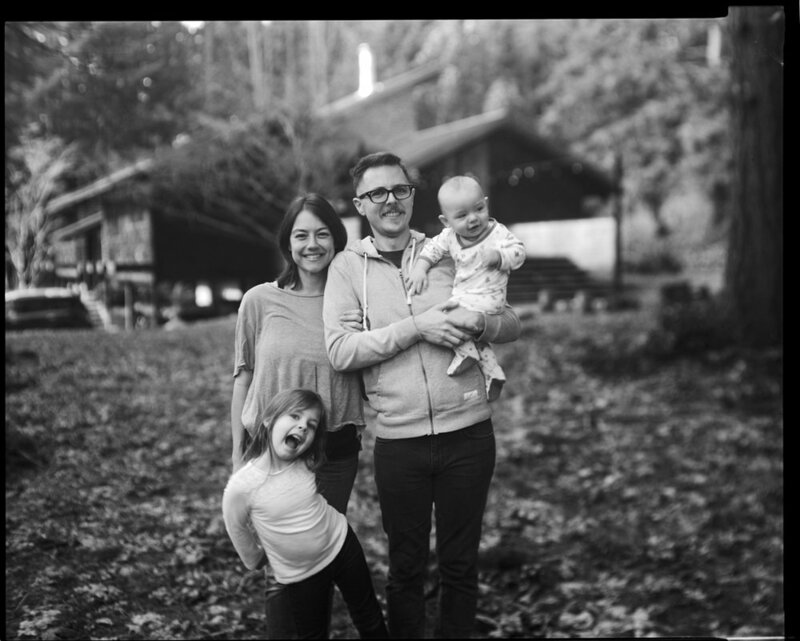 He and Azurae had us out to their home on Bainbridge Island for a few days where we took it easy, made a bunch of photos, and watched their kids be pretty awesome. This was one of those shoots I really look forward to. I really enjoy his music AND he was game to get weird with making photos. I ended up bring out the 8x10 and 4x5 with my gear and we just sort of went with our collective gut. And though it was tough to pick favorites, here are a few I really dig. Before that, though, I encourage you to check out his music. Here's his Discography and here's his Bandcamp. His website will be a sort of repository of stuff he's working on and whatever else needs ot come out of his brain. I look forward to that.